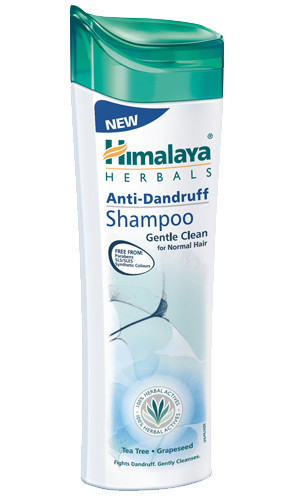 Himalaya Herbals Anti-Dandruff Shampoo Gentle Clean is a mild formulation for those who have an active lifestyle that requires frequent shampooing. Our shampoo gently cleanses and nourishes the scalp, keeping your hair dandruff free, strong and healthy. Safe to use on artificially colored or permed hair. Massage Himalaya Herbals Anti-Dandruff Shampoo Gentle Clean gently into wet hair and scalp. Rinse thoroughly. Repeat if necessary.